It’s the classic par excellence! 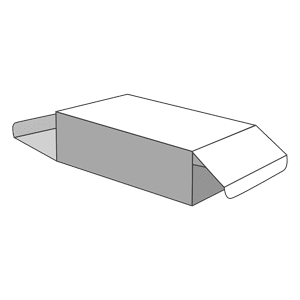 Straight tabs: Recommended for small quantities of production because closing the bottom requires more labor time at home. The right tab is more economical to manufacture because it requires only one point of bonding. It is available in alternate legs and opposite tabs. Semi-automatic bottom: The bottom is reinforced for a better mechanical resistance. Your labor time to close this bottom is faster than with the straight tabs, but slower than with an automatic bottom. The semi-automatic bottom is recommended for small and medium series. It is a good compromise between the right tabs and the automatic bottom. Automatic bottom: It’s the simplicity of closing the bottom! 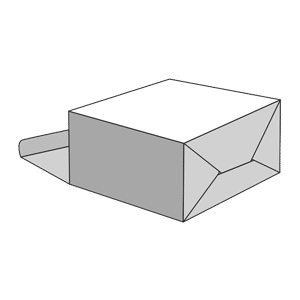 Take your box with one hand, press the sides and the bottom will close automatically. It requires less labor time to insert your product but more work in our manufacturing. It is recommended for large quantities or heavy objects.